I absolutely LOVE art journaling, but the truth is, some days it’s hard to come up with new art journal ideas! So I bought some art journaling books, and they have really helped me on those days. So I decided to create this round-up of art journal books to help spark your creativity! I may earn commissions from the links in this post. See my full Affiliate Disclosure here. 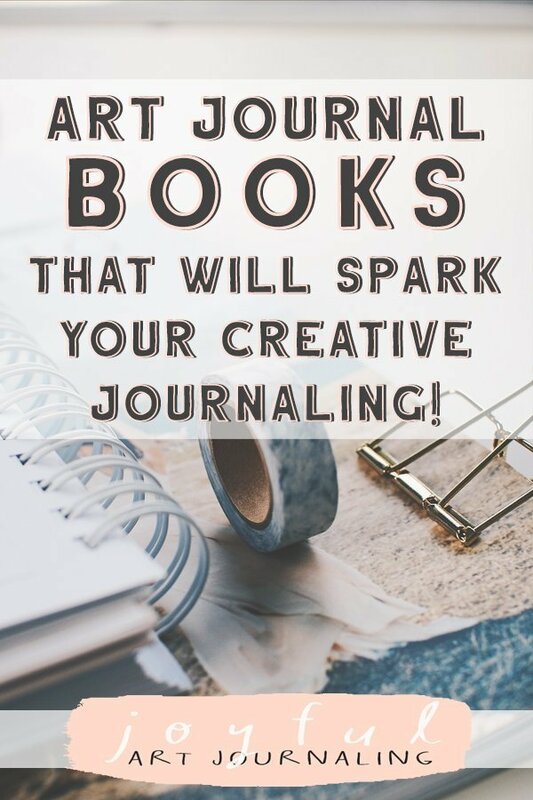 art journal books to help spark your creativity! Journal Sparks: Fire Up Your Creativity with Spontaneous Art, Wild Writing, and Inventive Thinking by Emily K. Neuburger was the first art journal book I picked up, and it is filled with fun and creative ideas. One of the things I like about this book in particular is that the author has some of the same ideas about art journaling that I do! Like her “no rules journaling” philosophy. And the fact that she encourages you to get messy (and not worry about it!) Art journaling should be fun (or whatever you want it to be!) But it’s definitely not a place for you to be a perfectionist. Below is my take on one of the art journal prompts in the book, “imperfect paper quilting.” They offered a few different suggestions, from using colorful scrap paper to using some of the collage papers included in the back of the book. (There are stickers back there, too!) I used some older watercolor and ink paintings I’d made, but wasn’t too happy with how they turned out. But I love how they look in my art journal! Next up is The Art Journal Workshop: Break Through, Explore, and Make it Your Own by Traci Bunkers. One of the cool things about this book is that it comes with a DVD with recordings of the pages being made. I love that because it’s one thing to see a finished art journal page, but seeing the process behind the page can help you step up your own journaling process, as well. The author also goes into details like getting unstuck (when you just don’t know what to make), how to create a three-page spread, and more. Now we come to The Complete Decorated Journal: A Compendium of Journaling Techniques by Gwen Diehn. I really enjoy the author’s subtle palette. It somehow makes pages filled with images and text and color, etc., seem somehow minimal… and simply lovely. This art journaling book is filled with gorgeous images of journal pages that are sure to inspire you. But she also covers things like materials, tools, layering, book-binding (so you can create your own art journals) and so much more! 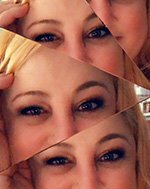 She covers topics like travel and nature, and includes a bunch of artist profiles, so you get to see a variety of styles, too! And at 240 pages, this is one of the longer and most in-depth art-journaling books you can buy. For a more humous take on art journaling, there’s You’re Weird: A Creative Journal for Misfits, Oddballs, and Anyone Else Who’s Uniquely Awesome, by Kate Peterson. This book combines an art journal with an activity book and it’s so fun! Feeling timid with your art journaling? Check out Art Journal Courage: Fearless Mixed Media Techniques for Journaling Bravely by Dina Wakley. This book will help you build your skills and confidence in your handwriting and drawing abilities. Plus it teaches you mixed media techniques, working without a plan, and comes with many art journal prompts as well. The author also dispels many art journaling myths and fears you might have. The Painted Art Journal: 24 Projects for Creating Your Visual Narrative by Jeanne Oliver is another art journaling book I bought recently, and it’s truly magical. I feel like it’s more of a “complete course in art journaling” than it is a book. It covers the basics like supplies, materials, collage, mark-making, etc., but there are also sections dedicated to teaching portrait drawing, composition, printmaking techniques, and more. But the cool thing is, each art journal page example does include information about the techniques used to create the pages. But most of all, you will be inspired by the vast array of styles and art journal ideas. i think you’ll love these creative journaling books! Talk about this page (and/or my blog in general) with a link on your blog. YAY!